Volvo is now offering one of the smallest types of wagons on the market. There are significant examples including the V90 which makes a big impact on the overall ability of the device to make lasting changes. There are a lot of benefits to this design including that it has practical as well as luxurious options. 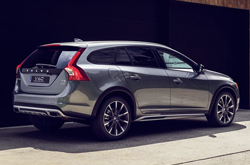 The V60 offers a traditional option when it comes to having functional all-wheel drive that includes multiple aspects of height and body cladding or appeal. There is 362 horsepower as well as multiple options for increased pace and caliber. The V60 Cross Country has various unique aspects including with standardized equipment. There are multiple kinds of Platinum trim as well as unique novel features. The V60 also has all-wheel drive in addition to multiple informational systems that provide navigation options. There are a lot of ways that the V60 expands on the best principles of design and development. They have the ability to gauge distance, identify blind spots, improve access to lanes as well as drier alert management. There are better high beams and options for cruise control that are adaptive. The results of this new and improved design can be seen from multiple points of view with regards to user experience. There are rear facing cameras as well as parking sensors to make the vision and process of parallel parking easier. Active bending of lights as well as other methods of operation are standard in this car and contribute to lasting benefits for users. 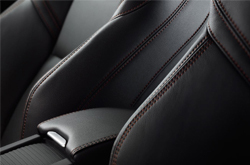 There are some significant improvements that can be realized from this latest addition to the Volvo family. They have made some of the trim levels even lower as the base of the T5 has been replaced by Dynamic variables. Overall, the V60 is a comfortable ride and presents a lot of unique options that previous versions were unable to. There was significant style, a better ride as well as unique performance metrics that have improved the experience for V60 users at large. There are several special features including the Forward-collision warning as well as assistance for lane-keeping. Xenon headlights in addition to high beam standards make it possible for there to be lots of interesting results with the Volvo V60. 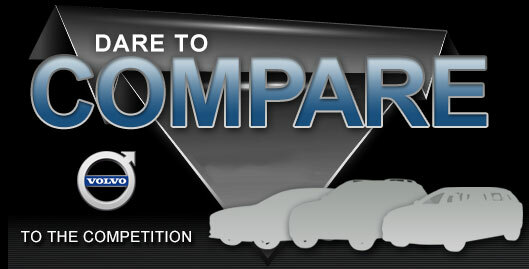 The engine for the Volvo has 362 horsepower and is one of the most powerful of its class. It has a considerable pace while allowing users to gain maximum advantages of the engine. 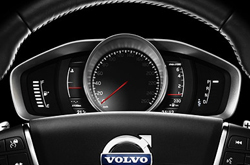 One of the best advantages of this Volvo is its ability to maintain a safe and effective ride. It is considered one of the safest cars from 2017 and has resulted in some of the best attributes and designations in its class. Some of the advanced technologies include Warning and Full Auto Brake as well as Pedestrian Detection strategies. These were useful both in City Safety features and for advanced circumstances that may have warranted the use of auxiliary methods. The alerts as well as new methods of motion detection set the V60 apart from the rest. 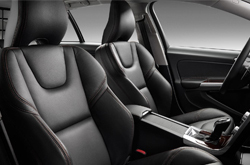 Overall, the Volvo has a lot of options that are multidimensional and carry over from other related vehicles. The enhanced performance, better safety ratings and user controls are other advantages to the new models. Getting lasting results is important with this vehicle because it caters to a unique demographic that measures user experience and quality of implementation.